Both AgustaWestland & Rafale are caught in controversies but have very little in common when it comes to the process of procurement. New Delhi: The ruling BJP and the main opposition party Congress have been accusing each other of corruption in two defence deals – AgustaWestland and Rafale – as they raise the pitch of their campaigns for the Lok Sabha elections. Although both deals are for aircraft from European defence giants for the Indian Air Force, there are hardly any similarities between the two, including in the processes that have triggered the corruption allegations. AgustaWestland, the Anglo-Italian subsidiary of aerospace company Leonardo (formerly Finmeccanica), was contracted to supply 12 VVIP helicopters for the IAF’s Communications squadron, whose main task is to ferry VVIPs. Allegations of irregularities in the deal, which has since been cancelled, continue to mar the legacy of the Congress-led United Progressive Alliance (UPA) government. The Rafale deal involves the purchase of 36 fighter jets from French firm Dassault to shore up the IAF’s dwindling fighter squadrons. The first of the jets are set to arrive in India from France this year, but the deal has become a sore spot for the Bharatiya Janata Party (BJP) following serial allegations of wrongdoing. But the real difference between the two deals lies in how they were executed: The deal for the Rafale jets was signed under the government-to-government agreement clause of the Defence Procurement Procedure 2013 introduced under the UPA. And it is in this light that the recent allegations over the Rafale deal need to be seen. Dassault won the contract for Rafale fighter jets under the UPA, but the deal was reworked by the Narendra Modi government which signed a government-to-government agreement with the Francois Hollande government in 2016. The DPP 2013, which was rolled out under the UPA government, states that procurements done under the government-to-government route from friendly countries due to geo-strategic advantages “would not classically follow the Standard Procurement Procedure and Standard Contract Document but would be based on mutually agreed provisions between the governments of both countries”. The Hindu claimed in a report Monday that the Narendra Modi government had waived crucial accountability conditions for the Rafale deal. These included the conditions against lobbying and the use of an escrow account managed by the French government to make payments to Dassault and another private company, MBDA, from which India is sourcing the weapons package for the deal. The fact that the government has admitted that the Rafale deal didn’t include the provision of a bank or sovereign guarantee – with the governments instead settling for a ‘Letter of Comfort’ – has been flagged by critics as well. Under the Letter of Comfort, France has sought to assure India that all contractual obligations will be fulfilled and that both Dassault Aviation and MBDA will follow the timelines laid down in the deal. However, such letters are not legally enforceable, while sovereign or bank guarantees are. 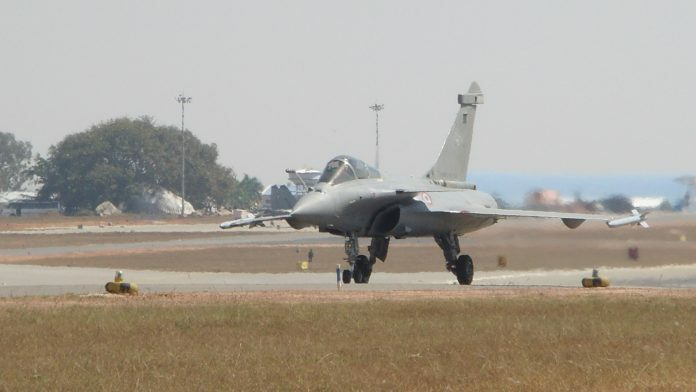 Sources told ThePrint that, as the deal stands, there is no way India can drag France to court in case the suppliers do not deliver the planes on schedule or if they provide poor-quality fighters. The only option India will have in that case is to go for arbitration with Dassault, which will be a costly and time-consuming affair. The VVIP helicopter deal was an agreement between India and AgustaWestland, and signed under the Defence Procurement Procedure (DPP) through a bidding process and came with a bank guarantee. In fact, India invoked the integrity pact of the DPP to cancel the deal when allegations emerged that the company may have hired middlemen to swing the Rs 3,600 crore deal in its favour. Justifying the signing of a government-to-government deal, Defence Minister Nirmala Sitharaman said last week that it was done in light of the IAF’s urgent need of fighter planes. However, defence expert and author Bharat Karnad questioned the government’s argument. What a nonsensical article. In Augusta Westland, the CaeO was sacked and imprisoned and convicted for bribing charges by Italian Govt. Where’s that in Dassault? Just because you are idealogicslly antagonistic to Modi and he has been incorruptible you think people are dumb to accept your imposition of alleged corruption on him? That is their idea. Keep shouting “Scam” long enough so that people will start believing in it. The HIndu’s antics, NDTV’s omissions, HT’s oversimplifications. SOmeone desperately wants IAF to buy LockheedMartins F-16’s and shut out France from India’s defense purchases. The whole format of our national debate has got entangled in whataboutery. 1984 vs 2002; Rafale vs AgustaWestland. Each transaction must stand on its own feet, be able to withstand scrutiny.